At the start of the tour, guests will be picked up at their hotel between 8am and 9am. Heading towards the East Valley of Phoenix, we will visit Mesa, Queen Creek, and Gilbert on this culinary adventure! The first stop at Jalapeño Bucks offers delicious BBQ and salsa tastings. The orange grove of the property will be your back drop as you enjoy brisket with multiple barbecue sauces and five different salsas for tasting. After this stop, we will continue on to the Queen Creek Olive Mill, home to the Arizona's only olive mill. 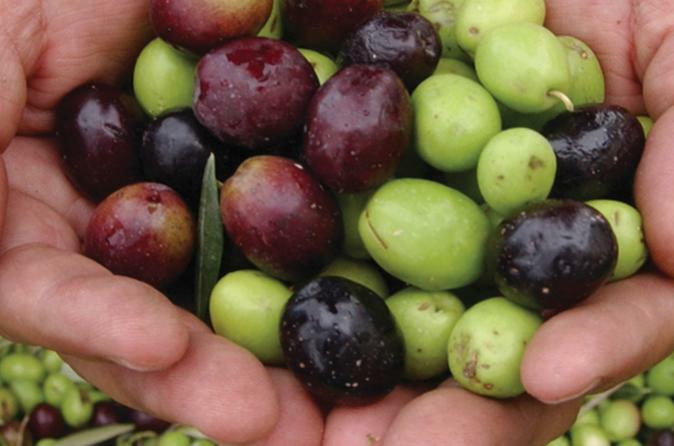 Learn about the process of how olive oil is made in-house and have a chance to sample the unique flavored olive oils. Our final stop will be at Agritopia, a community focused on urban farming. Lunch will be served at Joe's Farm Grill, where locally-sourced tastes are the main ingredient of your meal! After lunch, guests will be dropped off at their hotel between 2:00pm and 3:00pm.